Did no one listen to us? I get the feeling nobody did. Luke and I rarely agree on movies (check out our reviews on Salt to see what I mean). 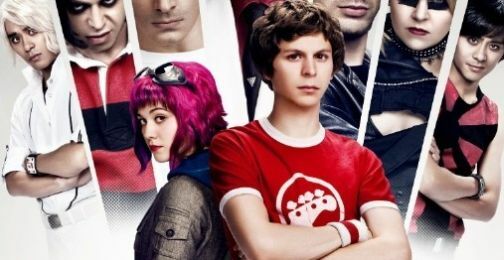 But, we both agreed that Scott Pilgrim vs. the World was all sorts of awesome and still no one went to see it this weekend. Shame on the world for missing such an amazing film. Scott Pilgrim went up against The Expendables and Eat, Pray, Love. Seemingly Pilgrim would’ve gotten a key demographic of the 30 and under crowd that would have loved to see a throwback movie about old school video games, but Stallone and his macho crew ended up stealing most of whatever demographic Pilgrim was hoping for. While The Expendables raked in close to $35 mil. and the Julia Roberts flick Eat, Pray, Love brought in $23 mil. Scott Pilgrim sagged behind in fifth place, behind The Other Guys and Inception, bringing in a measly $10.6 mil.